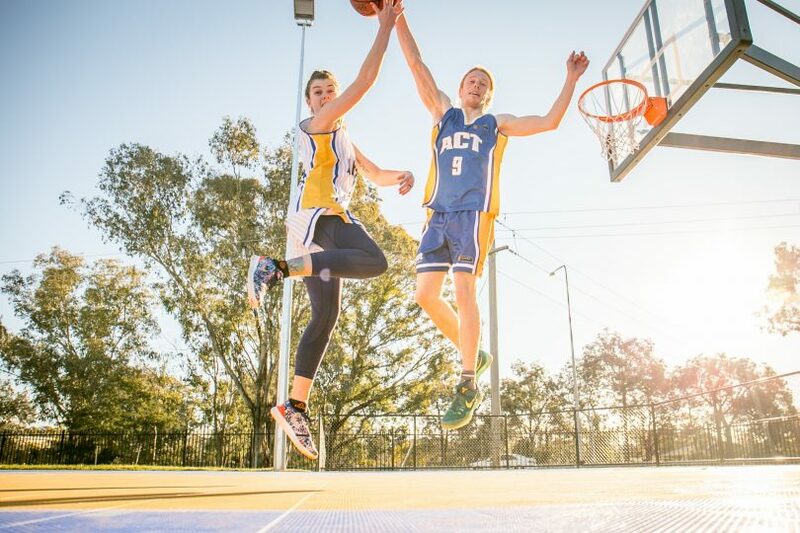 Making it pro on the hardwood is a goal for most Canberra Gunners and Capitals Academy players. The South East Australian Basketball League they play in is a semi-professional gateway to Australia’s elite leagues. But for Gunners guard Reece Kaye, and Caps Academy wing, Chloe Tugliach, the ‘dream job’ of being paid to play has come a little different than expected. As Basketball ACT’s new Development Officers they run around with 18-month olds, holding hula hoops to shoot at, play interactive games with newcomers to the sport, and teach the basics at school visits. The job has mixed their early education studies with their love for hoops, as they teach basketball skills and life lessons to the next generation. 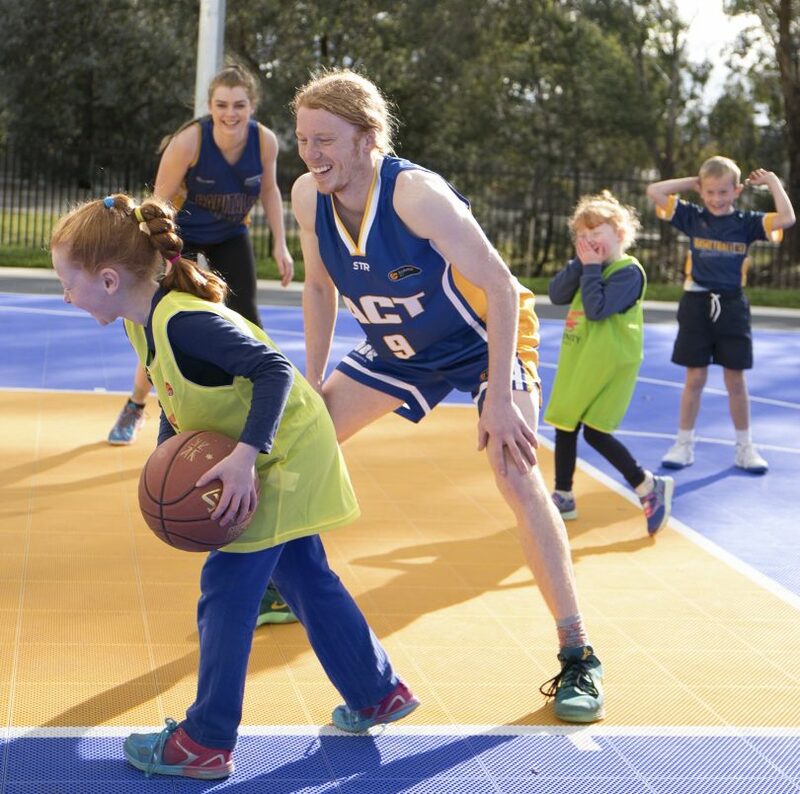 As part of their role, the Development Officers run Aussie Hoops, an Australia-wide program for kids aged 4-10, a brand new ‘8 and Unders’ program, which bridges the gap from Aussie Hoops to club competitions, and run clinics at local schools. While providing opportunities for newcomers to basketball, they also facilitate ‘Mums Who Ball’ – a Tuesday morning drop-in game with morning tea and coffee as an open door back to the game for local mums. For Tugliach, the opportunity came through Capitals Academy coach Debbie Cook’s recommendation. New to the Canberra basketball community, the Wests wing has snatched up the opportunity and run with it. Tugliach says the youngest hoopers are her favourites. Kids from the Aussie Hoops program have already had a chance to show off their skills to a crowd at the University of Canberra Capitals games on opening weekend. 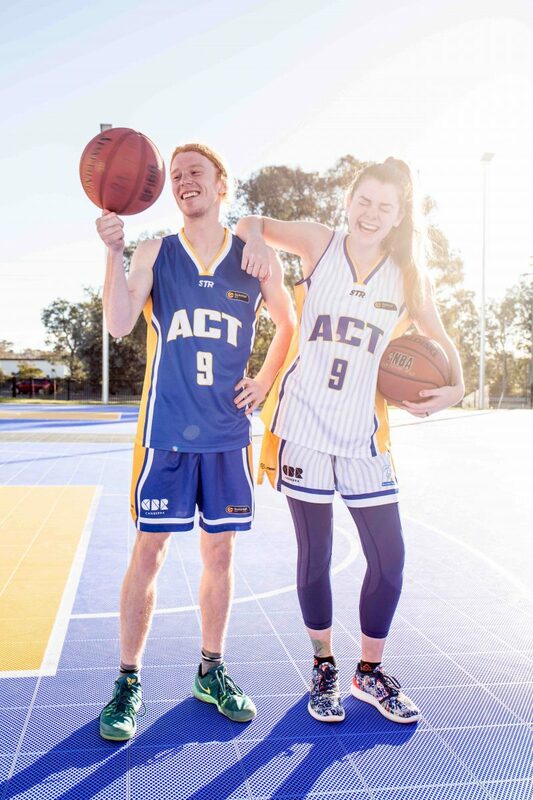 Basketball ACT are always looking for schools to attend, so If your school could benefit from a Reece and Chloe visit contact BACT on 6253 3066.